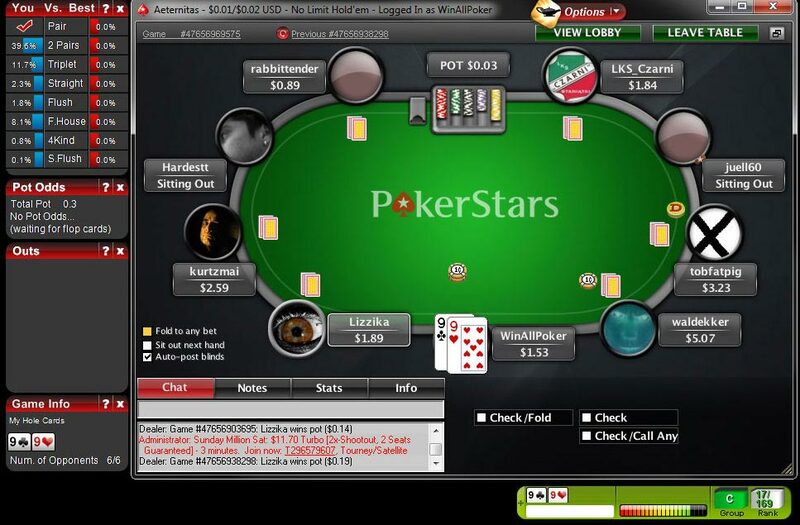 Magic Holdem is a nifty online holdem poker odds tool, it attaches itself to over 100 supported poker rooms including PokerStars, 888Poker, PartyPoker and even makes it onto the allowed PokerStars tools list. Once Magic Holdem is attached to your chosen poker room’s console it provides vital information by calculating your odds, outs and probabilities of winning the hand from pre-flop right through to river and hand completion. The Magic Holdem poker tool calculates and advises you real-time on your currents odds as the hand evolves with the pre-flop odds calculated via David Sklansky holdem starting hands analysis showing which hands you should raise, call, fold or re-raise with in order to maximize your winning potential.Your hole cards are categorized into groups and the strength of each pre-flop hand is calculated then ranked from 1 to 169. One awesome feature of this poker tool software is it’s ability to display bold warnings of what possible hands your opponents may hold which is useful when flush and full house draws are not so apparent. MagicHoldem can be adjusted and configured to your preferred playing style whether you want to be slightly looser or tighten up your play is all adjustable via the software. 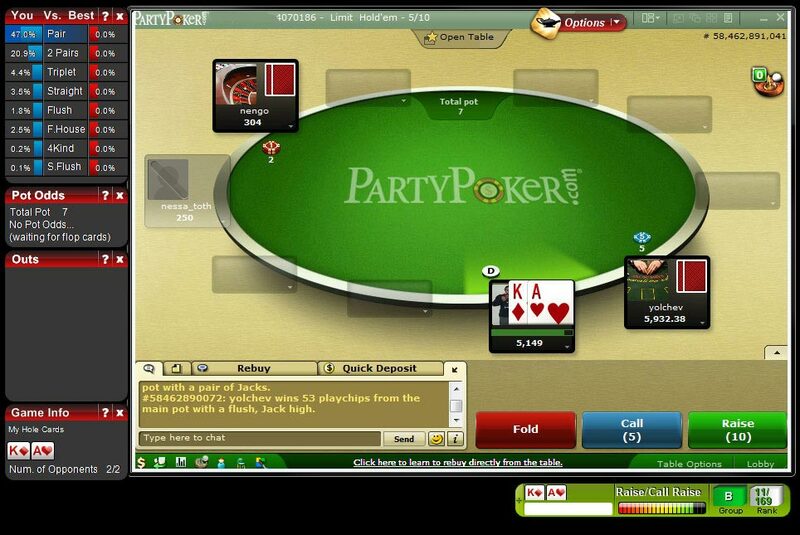 Magic Holdem supports multi tables and tournament tables, when playing multiple tables, each table must be in a different window as MagicHoldem only attaches to the currently active poker table window. 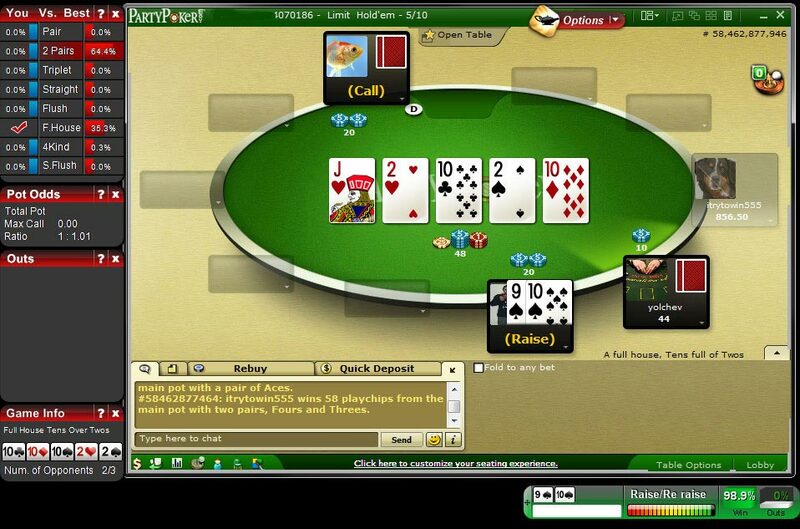 Magic Holdem is legal online poker tool which is allowed at most major poker rooms. 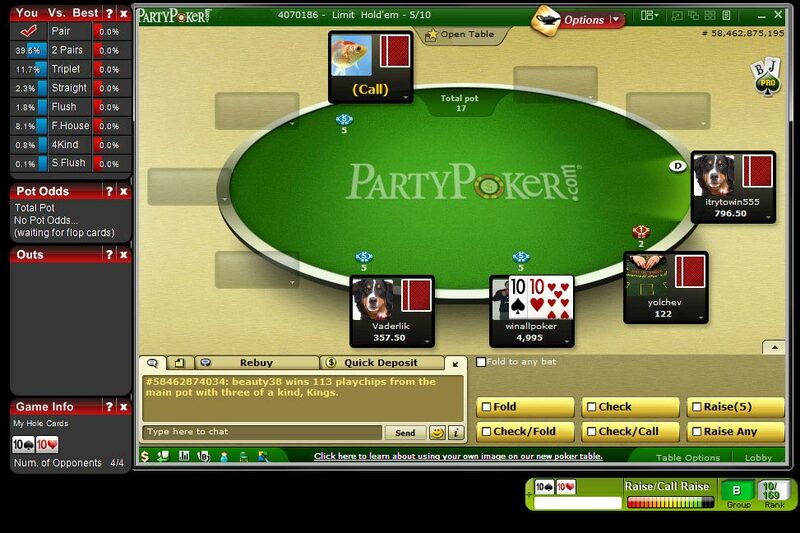 MagicHoldem attaches to most popular poker rooms with ease the below screenshots are taken from sessions at PokerStars and PartyPoker. 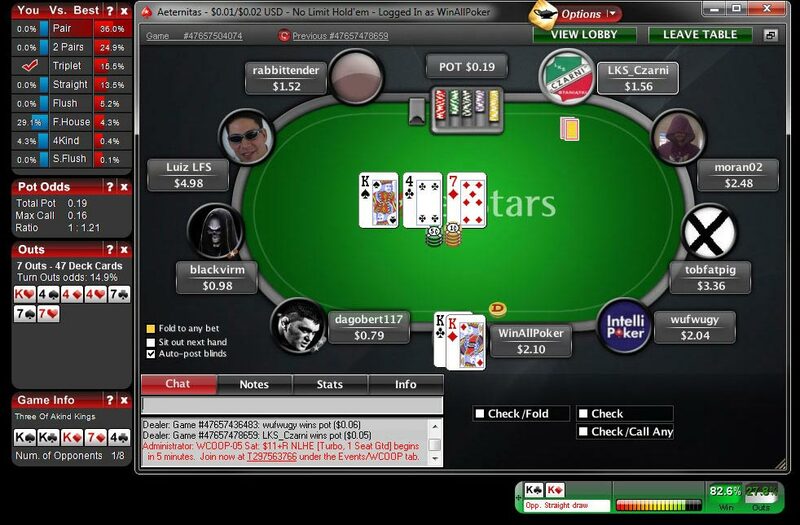 Magic Holdem is an approved poker tool for PokerStars view the screenshots above to see how the Odds Calculator attaches neatly to the PokerStars game screen and provides a wide range of statistics and odd calculations making Magic Hold’em a well rounded professional poker tool and an asset to any poker player looking to improve their odds. MagicHoldem in use at PartyPoker, Magic Holdem supports a wide range of rooms with all the stats and odds calculations needed to keep the user well informed of the best play based on the odds that are automatically calculated by the online poker odds tool. Magic Holdem comes with a free trial which allows players to test out the software for 200 hands to evaluate if the odds tool could help them play better poker. To enable your free trial simply download MagicHoldem and install it on your Computer then run your favorite poker room software you will notice that the tool attaches seamlessly to once you are seated. All payable via Credit Card or Paypal. Magic Holdem is also available for free to those willing to try it on another poker room and earn the required points to obtain a free MagicHoldem activation code valid for 1 year. Create a new 888 Poker account get a 100% Up To $400 bonus with a minimum deposit of 30 USD then earn at least 20 888Poker Points. Create a new Titan Poker account get a 200% up to $2000 deposit bonus minimum deposit of 20 USD then earn at least 400 Player Points. 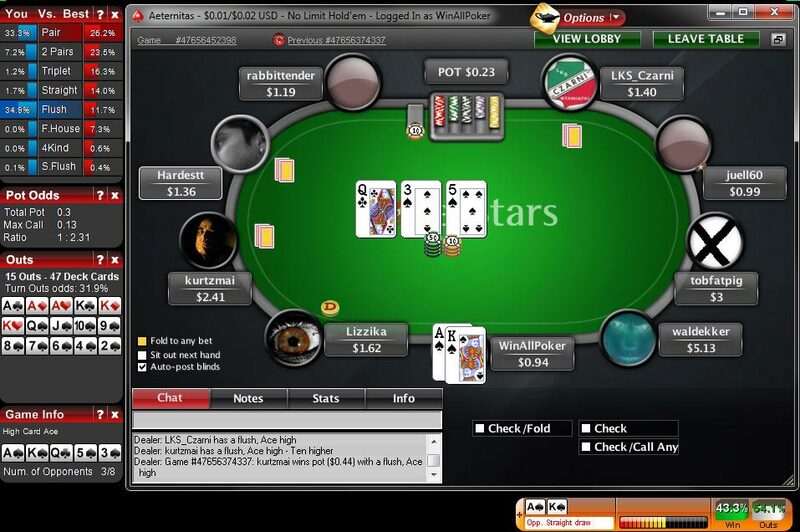 Create a new PokerStars account get a 100% up to 600$ signup bonus minimum deposit of 10 USD then earn at least 250 VPPs.